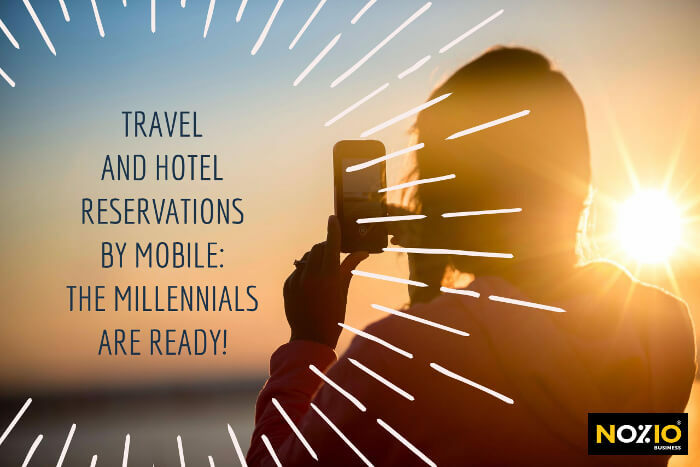 16 May Travel and Hotel reservations by mobile: the Millennials are ready! Mobile devices have an essential role in the daily lives of all consumers. Smartphones and tablets occupy a crucial position in the searching and purchasing decisions of all of us, but a recent Google report shows how Millennials are more predisposed to use mobile devices to purchase travel tickets and book Hotels. The infographic highlights the differences between Millennials and consumers over 35 years of age. From the survey data we can conclude that it is absolutely necessary for Hotels to plan a Mobile Marketing strategy in order to reach new market shares; as well as acquire compatible tools with traveler habits, such as a Website and a responsive booking engine. The future of hospitality and Hotel Marketing will pass through our smartphones! Below you’ll find Google’s original infographic. How do italians make reservations on their phones?